When Shelly Redding was out walking her dogs in spring 2014 Rocco, her staffy cross, was stolen from her by a man in the park. Determined to get him back Shelly initiated a campaign using local media and social media which was supported by numerous local dog charities. 12 days later Rocco was found as a stray, taken to Cardiff Dogs’ Home and the two were reunited. Around the same time Shelly, a qualified nutritionist, was setting up her own business developing nutritional food for dogs. But following her experience she wanted to offer a safe place people could take their dogs for training and exercise. 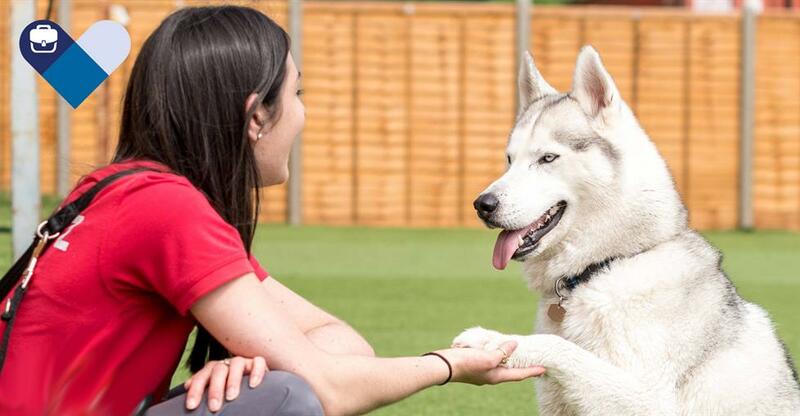 Her research found that there were no safe place to exercise dogs in the UK, so she developed a business plan, called it ActionPetz, secured a £20K start-up loan and opened her doors to dogs and their owners in June 2014. Shelly says, “Given the bad experience that gave birth to the business I wanted to give something back to dog charities from day one." So, Shelly made all ActionPetz facilities available to her local dog refuge centres including Cardiff Dogs Home, Hope Rescue, and Friends of the Animals RCT. On top of this ActionPetz provides the venue for the Dogs Trust to deliver puppy training courses to its employees, volunteers and new dog owners. On top of this, every couple of months, ActionPetz hosts a charitable event including breed-specific doggie get togethers which raise funds for local rescue centres. There are also dog care item collection events which encourage the businesses’ customers to give food, blankets and toys to dogs in need. As a business ActionPetz provides a safe environment for exercising dogs which is great for owners who suffered similar experiences to Shelly, dogs who have social issues, and walkers with disabilities which make outdoor exercise impractical or impossible. Has your small business got a big heart like ActionPetz? If so tell us your story by completing our short survey here and watch this space for details of the 2017 BusinessesForSale.com Small Business Big Heart Awards.